As full service HVAC contractors, we focus on products that work right the first time. We're confident that our heating and cooling systems will provide the best comfort, lowest operating cost, longest service life, & green energy. 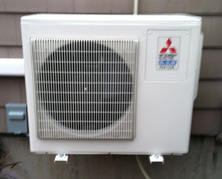 We offer HVAC supplies from some of the best manufacturers, ensuring that you get only the best. From heating and cooling systems to commercial refrigeration, we have all you need to keep your home or business comfortable. We're conscious of the environment and the impact that older HVAC models had on it. Technology is more advanced now, and there are now greener options of having geothermal heating and cooling systems. They use refrigerant, water, and the natural warming capabilities of the Earth to give energy to the HVAC units which can be used for heating or cooling your home or business.